I'm running an old Macbook Air with OSX 10.13.1. 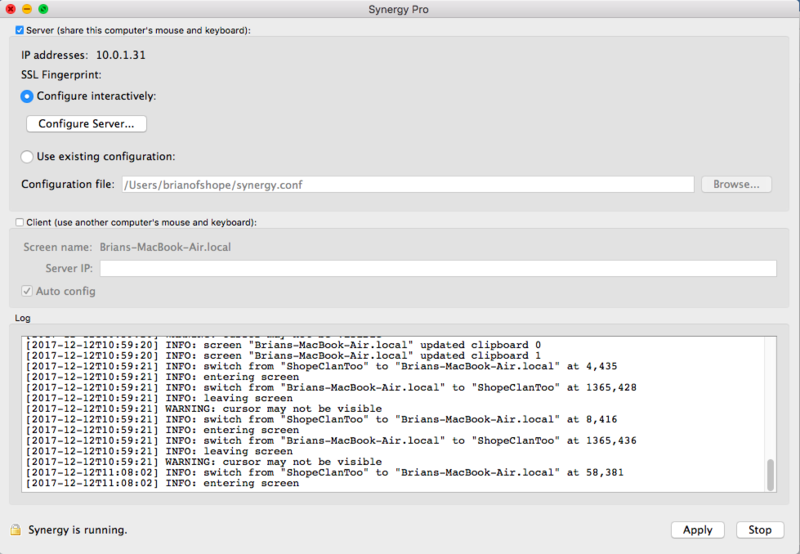 When I start and use Synergy, the SSL fingerprint can't be seen. It's been like that often, and seems to happen quite a bit. When I want to verify between machines, it's a bit problematic since I can't see the info. Anyone else having this issue?